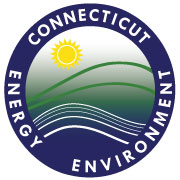 Do you love to hike, bike, camp, fish, swim, hunt, watch birds, learn about ecology, or cross-country ski in Connecticut? Are you fascinated by our Native American heritage or the role our ancestors played in the American or Industrial Revolution? Do you enjoy Connecticut's waterfalls, traprock ridges, observation towers, or beaches? Or do you prefer quiet summer picnics under azure skies? Whatever your activity or passion, you will love A Shared Landscape, the first comprehensive guide to Connecticut's state parks and forests. A tremendously informative and visually exciting book, every page is vibrant with color, fact, history, legend and lore. Written by Joseph Leary, a talented Connecticut writer, photographer, and raconteur, and brought to you by the Friends of Connecticut State Parks, a non-profit advocacy group, A Shared Landscape is your priceless ticket to fun, adventure, and learning on Connecticut's public lands.